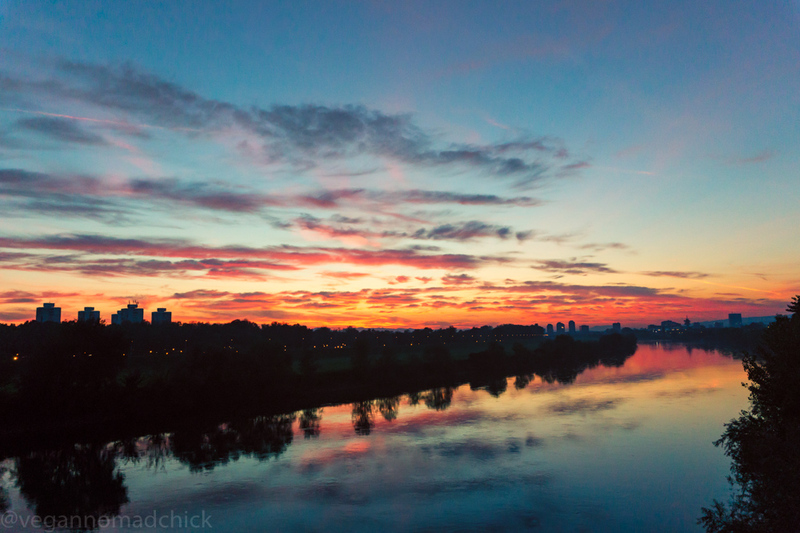 We were lucky to catch this sunset overlooking the Sava River on our way home one day. In the past two years, I’ve spent a total of five months living in Croatia. Last year, I travelled through Croatia for two months, visiting Rijeka, Zagreb, Split, Korčula, and Dubrovnik. I spent the most time (an entire month) on the island of Korčula. Out of those locations, Zagreb really caught my eye, so I decided to return this year. I’m so glad I got to spend the past three months living here with my husband Kuba! We only have a few days left here in Zagreb and then we’ll be on our way to Belgrade, Serbia. While I’m excited to experience a new city, I’m a little sad to leave Zagreb because it’s one of my all-time favourite cities. 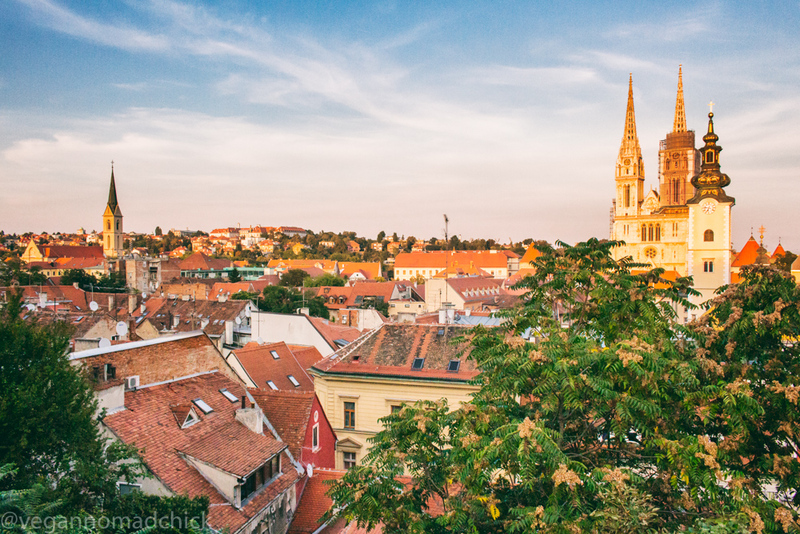 We love Zagreb because it isn’t touristy, the public transportation is well-connected, affordable, and reliable, it’s incredibly clean, the air is fresh, we have fresh produce markets everywhere, and the people living here are always friendly and positive. I like Zagreb because it’s less touristy than the coastal cities. It’s inland, so the vibe is much different. It’s also cheaper to stay here because it isn’t a tourist hotspot. I think most people tend to visit the coastal cities and islands. Zagreb and the surrounding county is the largest metropolitan area in Croatia with a population just over a million. Even though this is Croatia’s capital, the city is large but not overwhelming. And because the city is large, you’ll find plenty to do here. We were lucky to be in Zagreb at the right time for the ZeGeVege vegan festival in September and the Jazz.hr festival in October. It seems like there’s a new festival going on every weekend. Zagreb boasts music, art, and film festivals in addition to lots of food-related festivals and markets. The ZeGeVege vegan festival is free to the public. Don’t miss it! Public transportation is Zagreb is cheap, reliable, and widely available. You can easily visit all corners of Zagreb by tram or bus. Tickets for the tram and bus are only 4 kuna (under 50p or around $0.62) for a 30-minute journey. You can go anywhere in the city in 30 minutes, which means you have no excuse to not visit all parts of the city. You can also travel to other destinations via the train stations and airport. Ljubljana, the capital of Slovenia, is only a 2.5-hour train ride away. We’ll be taking a train to Belgrade in a few days, which is only 5.5 hours away by train. The airport here is new and getting to the city is easy. You can take a bus to the main bus station, and then a tram to wherever you need to go. And besides trains and flights, the main bus station is well-connected to other cities in Croatia, so you have that option as well. Zagreb is remarkably clean. No matter the time of day, you’ll see workers dedicated to keeping Zagreb clean: picking up rubbish, washing market areas, and sweeping the streets. Recycling bins are everywhere, and you can even get paid to recycle plastic bottles at major grocery store chains. The city is full of parks and ample green space. Even in the city centre, you can’t walk too far without coming across a park full of trees. People here enjoy spending time outside, so you’ll find plenty of benches and places to sit, and most cafes offer outdoor seating. If you’re interested in hiking, the mountains are only a 30-minute bus ride away. 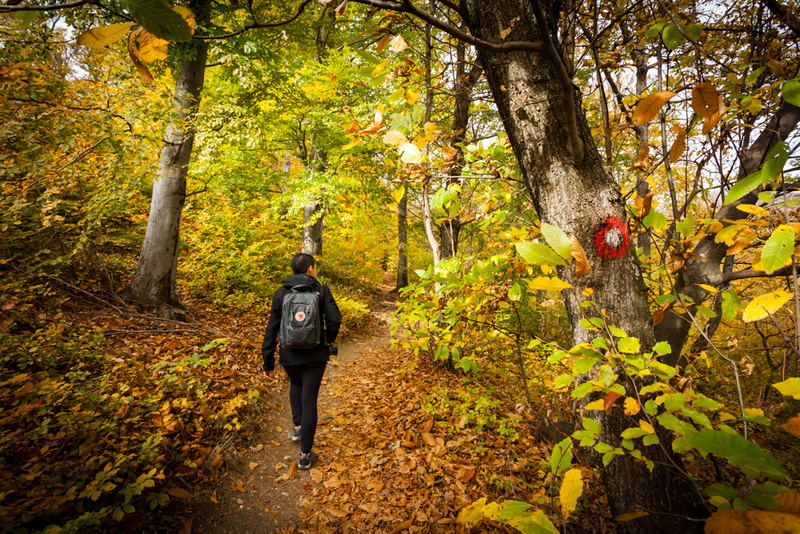 We hiked Sljeme mountain twice, visited Medvedgrad Castle, and took in the beautiful autumn foliage from the highest peak in Zagreb. Hiking to Medvedgrad Castle. Thanks to Kuba for this photo. 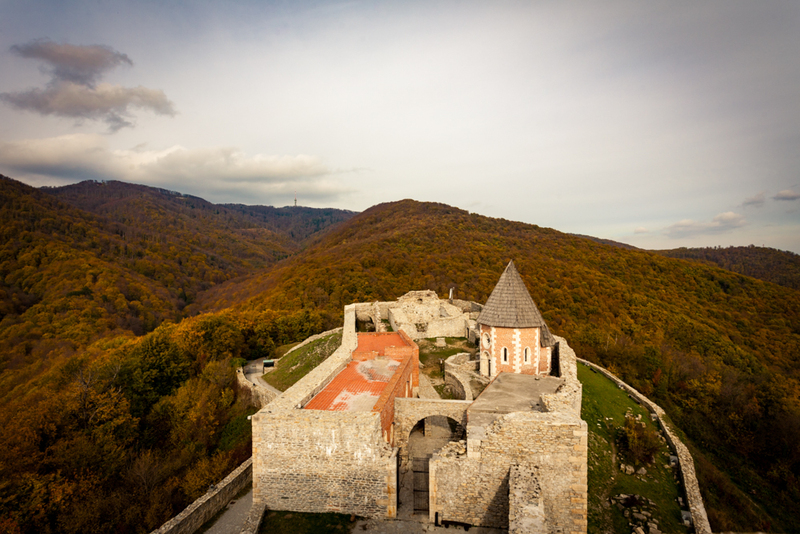 Thanks again to Kuba for this photo of Medvedgrad Castle. In residential areas, wide bike and pedestrian paths line the streets. Cycling in the city centre is easy as well since roads have bike lanes (though most people cycle on the pedestrian paths). Best of all, the air in Zagreb is fresh and unpolluted. I can actually breathe here! This is a huge deal for me. That’s Zagreb Cathedral on the right. 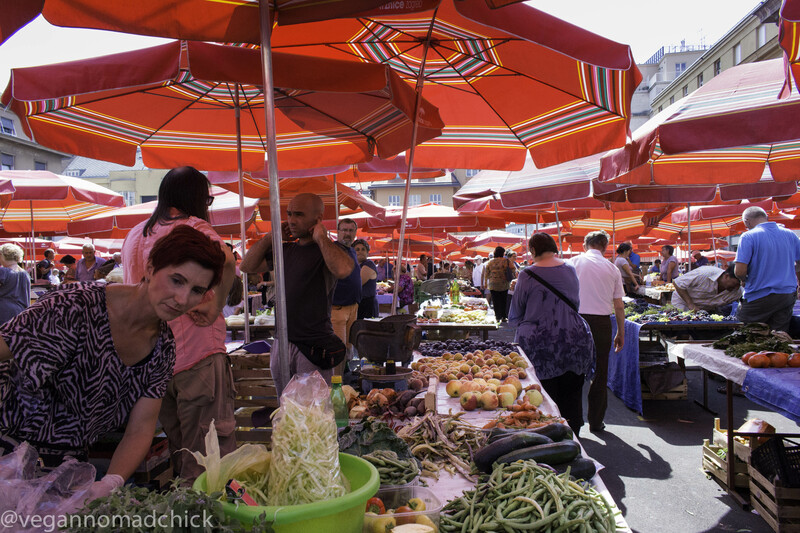 You are never far from fresh fruit and vegetables in Zagreb with 20+ produce markets in the city. Produce here is cheap but good quality. In my opinion, it’s just as good as the produce in Spain, although I think Croatian watermelon is much better. Dolac Market in the city centre. If you’d rather eat out, Zagreb has several vegan-friendly restaurants in the city centre. In residential areas, outside the city centre, there are lots of major grocery store chains like Lidl, Kaufland, Konzum, and Plodine. In the city centre, you’ll find lots of smaller shops, like Konzum, so finding vegan food is never a problem! Most shops have a vegan or organic section as well. 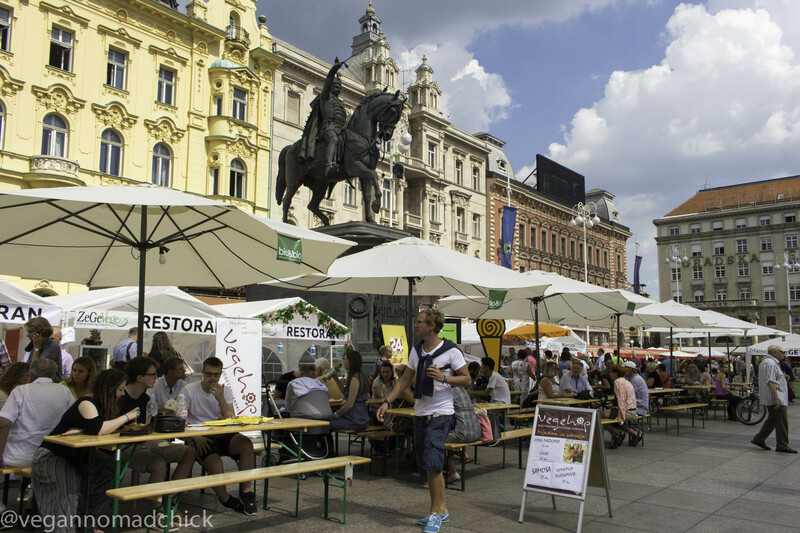 The main squares in Zagreb’s city centre offer free public wi-fi. It’s pretty fast too! Last year I used it to upload videos to YouTube without any issues. Zagreb is safe. I never felt worried walking alone at night. Everyone here is friendly, smiling, and in a good mood. Most people speak English so communicating isn’t a problem. I can’t get enough of this city! Check out my travel gallery for more photos of Zagreb. I have photos from the first time I visited Zagreb in September 2016 and several from the past three months, September-November 2017. Have you visited Zagreb before? How did you like it?